We thought they were very thorough and knowledgeable. They worked well with us and came up with a great plan for our yard. We're very happy with the finished product. I would tell them to call Paul. He's the best in the business. The end result, the finished project, looks beautiful. I would recommend them. They're thorough, knowledgeable, and very easy to work with. They have brilliant ideas. I'm happy with their work. 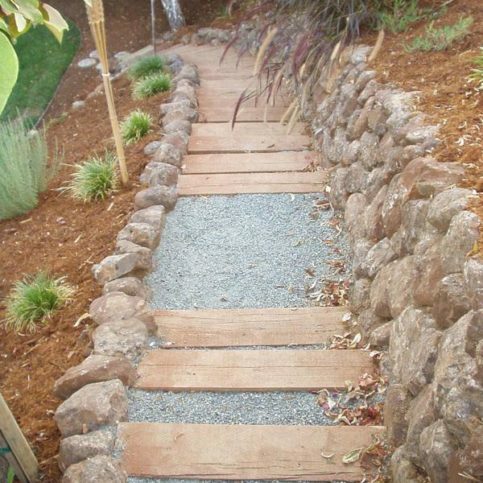 Natural Landscaping Contractors provides a full range of landscape installation services for residential and commercial customers in Contra Costa and Alameda Counties. Typically, the company’s process starts with a thorough review of each client’s needs, which leads to developing a landscape plan. Once plans are complete, a majority of the work is installed by its own employees and overseen directly by the contractor. Typical services are pavers, concrete, masonry paving, planting, drainage and irrigation systems, decks, arbors, fences, custom water features, fountains, and landscape lighting. 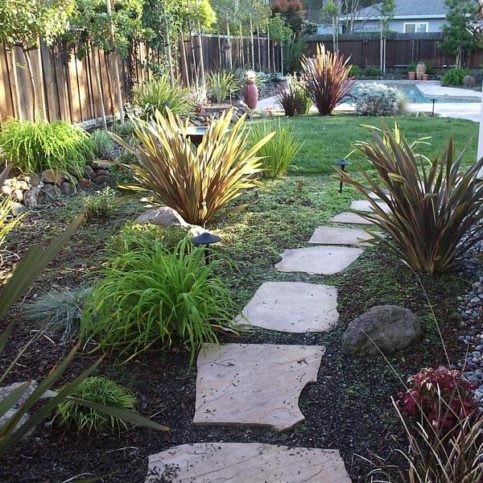 Natural Landscaping Contractors has been providing landscape installation services for residential and commercial clients in Contra Costa and Alameda Counties since 2004. The company’s services include pavers, concrete, masonry paving, planting, drainage and irrigation systems, decks, arbors, fences, custom water features, fountains, and landscape lighting. Typically, its process starts with a thorough review of each client’s needs, which leads to developing a landscape plan that’s overseen directly by Mr. Singh. Another attribute that makes paver stones a great option is their permeability. Unlike a slab of concrete, which causes water runoff, pavers allow water to penetrate the surface, trickle down and recharge the water table. Other benefits include longevity and aesthetic appeal. If you decide to install paver stones on your property, the best way to maintain their longevity is to regularly clean them. 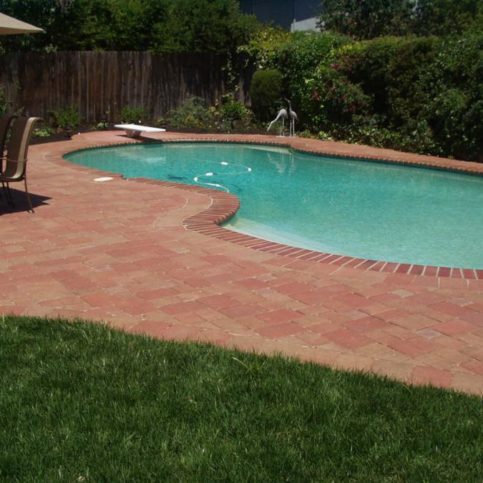 Also, it’s important to remember that concrete, clay, natural stone and pavers all need to be cleaned differently. For example, some common cleaners may be too harsh for natural stone, while others may contain acid that strips concrete pavers of their color. Always consult the manufacturers of these products to gain a clear understanding of how a certain cleaner should be used. A: Yes. Much of my business is referral-based, so I’m proud to share my past work with new clients. In some cases, I can even arrange for clients to visit recently completed jobsites. Q: Is the owner present on the jobsite? A: Absolutely. I’m always on the jobsite so I can oversee the details and ensure quality control. A: Typically, yes, as long as your budget is realistic. It should also be sufficient to do the project correctly—otherwise, it’s not going to last and you’ll have to spend more money over the long term. Q: Do you keep up with new trends in the industry? A: Yes, I always have an eye on what’s happening in the landscaping industry. Things are constantly changing, so in order to maintain my high-quality services, I need to stay current with those changes. That’s why I attend training classes and trade shows to learn about the latest products and techniques. This outdoor project features a flagstone deck, an arbor and a small lawn with flagstone stepping stones. 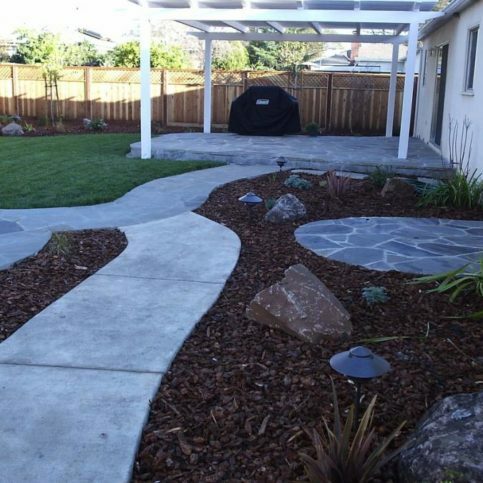 Natural Landscaping Contractors installed this kid-friendly yard for a family in Walnut Creek. 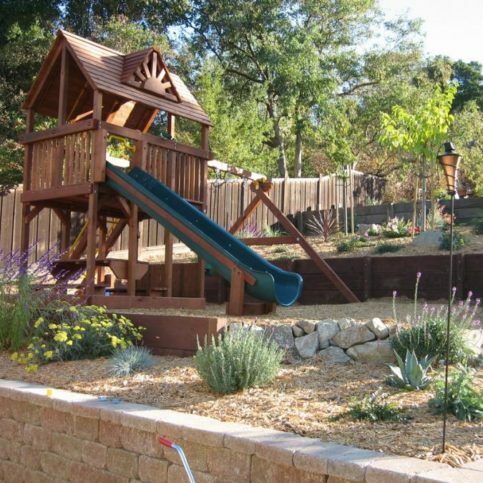 This multi-level landscaping project features two retaining walls, a play structure, a patio and a small lawn. 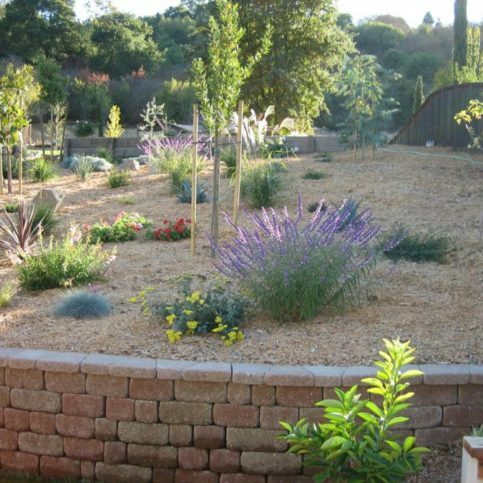 Natural Landscaping Contractors installed stepping stones and drought-tolerant plants in this Walnut Creek yard. 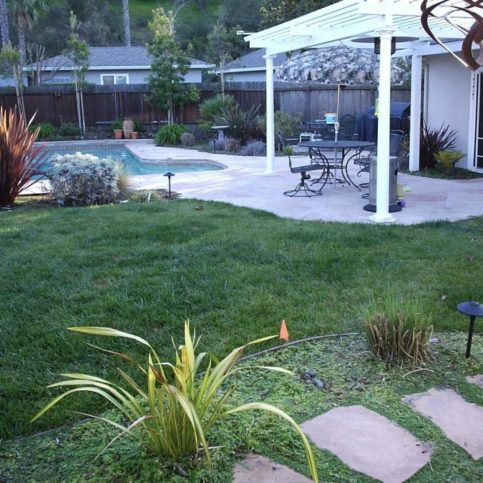 This landscaping project in Walnut Creek features a small seating area that overlooks a pool. 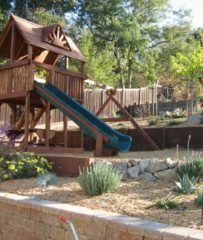 Natural Landscaping Contractors installed two retaining walls to make room for a play structure on this Lafayette property. 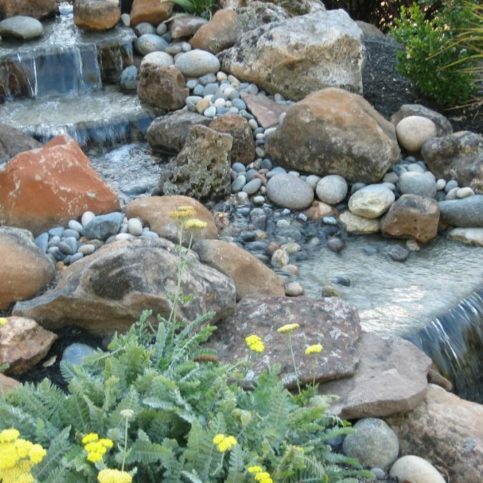 Natural Landscaping Contractors installed this waterfall in a clientÛªs yard. This path leads to the upper area of a sloped yard in Clayton. 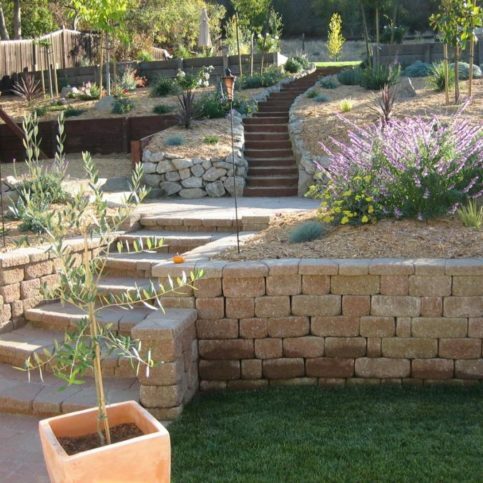 Natural Landscaping Contractors installed this pond-less waterfall in Orinda. 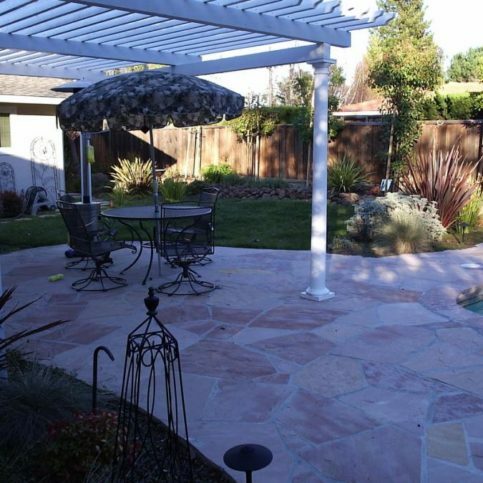 This project in Concord features three different seating areas, an arbor, a flagstone patio and a couple of walkways. Paul Singh is a lifetime veteran of the landscaping industry and owner of Natural Landscaping Contractors, a Diamond Certified company. He can be reached at (925) 201-6127 or by email. A: Our kitchen at home—my wife cooks really good food. A: Any holiday that gives me an extra day off with my family. A: Learning to walk. I can remember my family helping and encouraging me as I took my first steps. It’s pretty amazing that I can remember that far back, considering I can barely remember what I did yesterday! A: Vinyl records. I have a whole bunch of them, ranging in genre from electronic music to classic rock. A: Probably the past, just to relive some of my chaotic, carefree youth. CONCORD — Due to the recent drought, many California residents are opting to replace their lawns with more drought-tolerant alternatives like rock gardens and synthetic turf. However, some homeowners aren’t as enthusiastic about the prospect of giving up the soft, lush lawns to which they’ve grown accustomed. If this is the case for you, there’s good news: By following a few simple guidelines, you can install a lawn that consumes far less water than the average. 1. Get the lawn area as level as possible, maintaining a slope of no more than 2 percent to minimize water run-off. 2. Before installing your turf, make sure the soil is properly prepared. Add compost and till the soil to a minimum depth of four to six inches. 3. Install sprinklers around the entire area of the lawn to avoid any dry spots. Rotary sprinkler heads are a better choice than static heads: they have more flexibility for adjustments and emit water more slowly, which reduces water loss by giving the soil a better chance to absorb it. 4. Once installed, give your lawn three to four weeks to become fully established. It typically takes about 28 days for the turf roots to grow to a mature length. This is crucial, because the deeper the roots, the less water your lawn will require. 5. Once your lawn is established, keep it on a tight irrigation schedule—in most cases, three to four watering sessions per week is adequate. To avoid overwatering, establish a clear idea of how much your lawn really needs. 6. Fertilize your lawn three to four times a year, and patch and aerate it at regular intervals. By taking proactive measures before, during and after installing your lawn, you’ll be able to minimize its water consumption without diminishing its aesthetic qualities. CONCORD — Host, Sarah Rutan: If you’re torn between planting a lawn and conserving water, you’ll be glad to know there’s a way to do both. Today we’re in Concord with Diamond Certified Expert Contributor Paul Singh of Natural Landscaping Contractors to learn more. Diamond Certified Expert Contributor, Paul Singh: So, I will go over how to establish a lawn that’s drought-friendly. Most people are concerned about water conservation with the current drought. And a lawn is one of those things that a lot of people still want to have. It does take water, but there are things you can do so you can make a drought-friendly lawn. So, the main thing is during the installation process there are steps that need to be taken to make sure that the lawn is a healthy lawn. It has less work. During the installation process there’re four things you want to really pay attention to. You want to keep the lawn as level as possible, so there is not too much water run-off. Try to keep the slope no more than 2% on the lawn, to avoid the water run-off. During the installation process you want to make sure the soil is prepped properly, at least 4 to 6” of depth of soil preparation, you want to add some compost to it. And once installed, you also want to make sure the sprinklers are covering the entire area, so you have no dry spots. Once the lawn is established, the initial cut, it’s very important to give it at least three to four weeks. It takes about 28 days for the lawns to completely grow their roots. So, that initial part is very important because the deeper the roots are, the more drought-friendly the lawn’s going to be. And the ongoing things are watering the lawn, keep it on a schedule. Typically three to four times a week is enough. You would normally use either rotary heads or static sprinkler heads. Rotary seems to work better. They have a little bit more flexibility as far as adjusting-wise. They also water slowly. So, the soil has a better chance for the water to actually get saturated into the soil. The last thing is fertilization. It typically happens three to four times a year. The lawn needs it. And it’s something that really gets, you know, forgotten by most people. The other couple of things are aeration and patching. Patching you might have to do twice a year. Aeration could be once a year or once every other year. 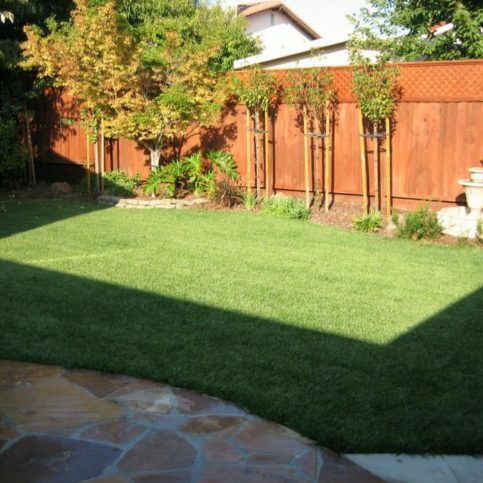 Hopefully, I have given you some tips and useful information to make a drought-friendly lawn. 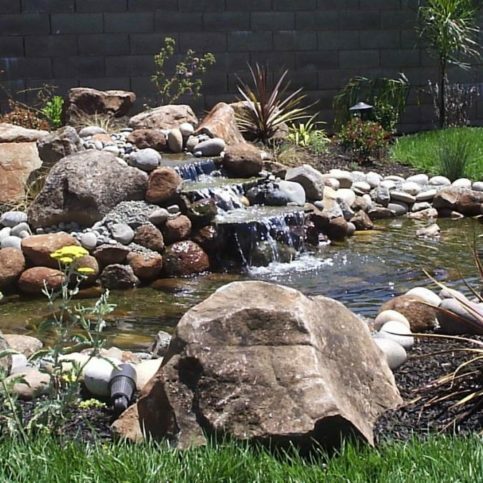 Natural Landscaping Contractors : Average 9.1 out of 10 based on 32 unique customer surveys of customer satisfaction. They are very efficient, fast, and good quality. They were able to meet my timeline. I liked that Paul Singh was able to actually do the work. He was helpful in the artistic design. I felt like he had some very good artistic talent and was very honest and reasonable. Quality outfit, reasonable pricing, and they aim to satisfy their customer. Just that they were incredibly knowledgeable and professional, we get compliments on our yard all of the time. Just that they were really easy to work with, Paul had great ideas about what we should do in our yard. They have a reasonable price. Paul is friendly, fair, and easy to work with. Paul is wonderful. He has a fair price and a nice personality. The owner is very helpful with the design and the installation. He was hands-on and worked well with me throughout the entire process. I liked the personal attention that Paul gave me throughout the job. I would tell a friend to use them. I've already recommended Paul a few times. He's awesome. He's easy to work with, reliable, and he does a good job. I would tell another consumer to use them. I like Paul. He's timely, efficient, and detailed. He comes up with great ideas. I've recommended Paul Singh to many of my friends. I told them about his amazing work, that he's very good to work with, and he has very creative ideas. That's a good question. He's always willing to listen and always willing to work with us. He offered suggestions that we would have never thought of. He's thorough, professional, and reputable. He did a top-notch job. To be honest, what Paul does is more like artwork, rather than landscaping. They're creative, honest, and trustworthy. I liked that they were creative. I would say that Paul is very easy to work with, and he stands by the work that he does. If something isn't to your satisfaction, he is willing to do whatever it takes to fix it. They were there, and they finished when they said they would finish, which is rare. It was the labor, as they were very competent, and they did a very nice job. There is no perfection in the world or anything, but we worked through some things. He primarily has two staff people, and I got to know them. Responsive, and he did everything he said he would do. He had good communication and when we found one small glitch, he sent someone out immediately to fix it. He does good work, but he is very busy and hard to get a hold of. His quote was competitive, and the work was well done. They're very professional, their prices are very fair, and they have good follow through on what they say will get done. The best things would be a combination of their competitive prices and the level of professionalism and integrity that they have.